Ready to find out if love and dating coaching with Ronnie is right for you? Discover what might be blocking you from the love you deserve. 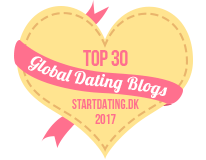 Talk with a dating expert in business for 17+ years who has helped thousands through her blog, workshops, books and private coaching. Her proven methods are simple, fun and they work! After booking your session, you will be redirected to the application page. Please fill out that form to help Ronnie learn a little about you so you can have a more productive call. Once the form is submitted, Ronnie will read everything and respond to confirm your appointment usually within 24 hours Monday – Friday. On weekends it will take 48 hours. A completed form is a prerequisite for the call. Schedule your free 45-minute session by phone in the USA or Skype outside the USA. All call times are Eastern Standard (New York) Time. “Ronnie’s program completely changed my love life. At first I wondered if I could really do this, but as the weeks went by I started noticing single men everywhere. Even better I made sure I talked to as many as I could. I actually gave myself a goal of talking to at least three men each time I attended an event (i.e., the Museum of Fine Arts First Friday, a Boston Ski and Sports dinner or even drinks after work). My inhibitions and self-doubt melted away as I got more and more practice. I competed with a friend to keep myself motivated and it worked! I met over 63 men! “Once I decided to work with Ronnie, she gently held me accountable to follow through on my goals in a compassionate way. This encouraged me to keep promises to myself which in the past I might have wiggled out of. So, when it came time to go to the singles dance, I went even though I didn’t want to go at all. Good thing I did because I met the man I’ve been with for two joyous years and couldn’t be happier. He is everything I have been looking for but didn’t think I would ever find. But I have! Before I worked with Ronnie, I was clueless! Dating in your 40’s is very different from your 20’s. I dipped my toe into what felt like shark-infested online dating waters and quickly withdrew after a few wacky encounters. I read lots of books, but I didn’t know who to trust. And don’t get me started on the well-meaning but misguided advice from friends. Ronnie is a pragmatic and maybe even a fairy godmother who sprinkles fairy dust on you or knocks you gently on the head with her wand as needed. We looked at the misguided beliefs I had about men, love and relationships and identified my must have’s and deal breakers. Then she helped me develop a strategy to meet men both online and off. Priceless! Now dating is easier having a strategy and positive beliefs about myself and men. Going on dates is easier because I’m just focused on whether we might be compatible, not trying to prove anything. The biggest lesson I’ve learned is I’m the prize, not the guy. Ronnie is knowledgeable, funny, warm and super compassionate. She won’t sugarcoat things – she’ll tell you straight. She’ll help you look at your own stuff and how it’s getting in the way. And most importantly you’ll have a guide who knows what she’s talking about and will support you every step of the way. Working with Ronnie has been a fantastic experience for me, and I’m so thankful to her.